Phi Phi Natural Resort is situated close to the shoreline of Cape Laemthong and commands a magnificient view of the bay and surrounding hills dotted with coconut palms and lush vegetation. The resort ensures the calm and peaceful atmosphere. Yet the white powdery sand beach is reached just by minutes walk. The pool over looks Koh Yung cliffs and Bamboo Island. 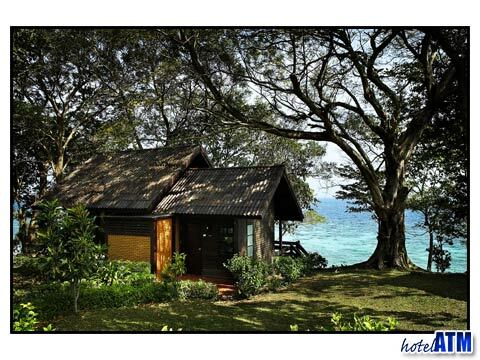 70 beautifully designed bungalows provide accommodation to superior, deluxe and royal suite class. Offshore a bank of coral reefs provide an unequalled glimpse of marine life whilst spots such as the historic "Viking Cave" add a fascinating dimension to exploration. The Phi Phi Natural Resort features in our Top 10 hand-picked hotels for 2 categories, including Best Bungalows on Phi Phi Island, Best 3 Star hotels on Phi Phi Island.